BRYAN EATON/Staff photo. 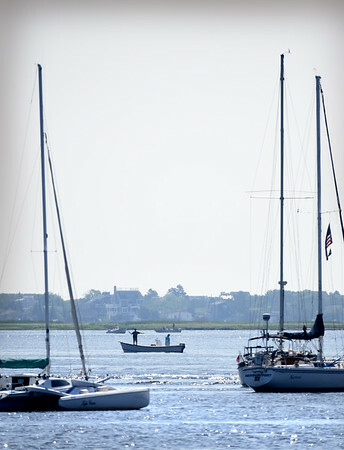 Fisherman cast their lines in the Merrimack River neart the American Yacht Club in Newburyport on Saturday. Photo was taken from the town pier on Ring's Island in Salisbury.